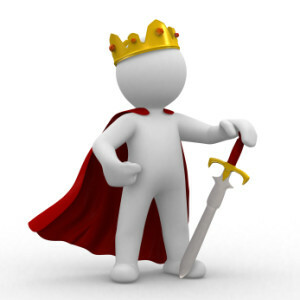 If Content Is King, Then What’s Queen? It’s important to know that not only do brands have to provide the best possible product or service to their consumer, but also that their marketing now relies heavily on traditional as well as content advertising; including blogs, video and social media. In this digital landscape, brands have to be aware of the ways their messaging is both sent and received by their target demographic in any number of ways. The content is important but after its creation, there are other follow up actions that are integral to the success of a piece of content. So that begs the question, if content is King then who (or rather, what) is Queen? It’s no secret that a great piece of content is only as good as its reach. There can be amazing writing, DIY videos or social media images but if you’re not using your sharing channels to their full potential, not enough people will see them to really make an impact. It’s important put as much effort as you would into the creation of the content into how you plan on sharing it with the world. Particularly in multi-platform digital spaces where people are accessing things at warp speed, it’s important to choose the platforms that work for you and make the most sense with the type of brand messaging you’re looking to share. Brand ambassadors can take on a number of forms, both official and unofficial. They serve as the digital equivalent of word of mouth marketing by any number of tweets, posts, and shares that help spread your brand messaging. Working closely with established personalities or online personas with their own following can give you more direct access to your target demographics, as well as factions you haven’t had any luck cracking on your own. It would serve well in the interest of an up & coming makeup or skincare brand to work in conjunction with beauty gurus that have sizeable followings on social media, particularly YouTube. This might be a strong Queen contender, as we’ve seen time and time again how brands have capitalized on excellent community management. Whether it’s swift customer service to respond to problems and issues or a funny reply to a post comment from a fan or followers, these are all things that add a personal touch and create the feeling of community in your consumers. This will make them much more receptive to your future content. Providing great content without following up is one of the ways many bands falter. They create enough to fill a few pages or posts and stop completely. This is one of the quickest ways to stop your content marketing plan dead in its tracks. The consumers that came specifically looking for that content will want more, and will eventually stop checking for updates if there’s nothing new when they check just a few times. It’s important to stick to a schedule of some regularity, and this depends totally on the type of brand you are. Daily blogs or videos may not be necessary, but try to stay engaged on social media if nothing else, and fill in the blanks by re-sharing some of your favourite content. Don’t be afraid to repurpose content either, changing it up with new titles, images, updated information and more to keep it all relevant and fresh. It can be said that there are a lot of factors that make the difference for a piece of marketed content; so it’s hard to crown any one method as it’s foolproof partner.Your best bet is to have a healthy combination of all of them to help spread awareness about your content, grow and get to know your consumer community so you can continue to provide them with content they’re going to love.